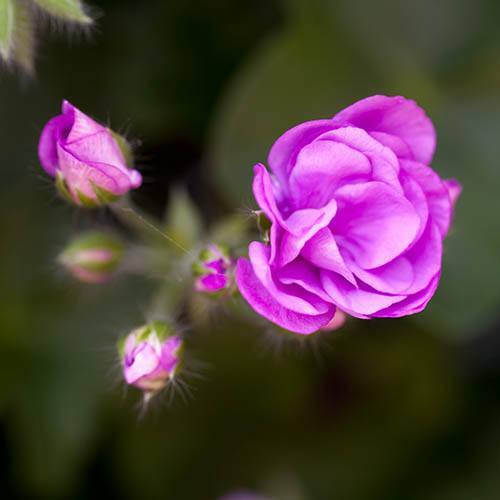 This unique Geranium will transform your beds and borders with their stunning rose-like flowers! 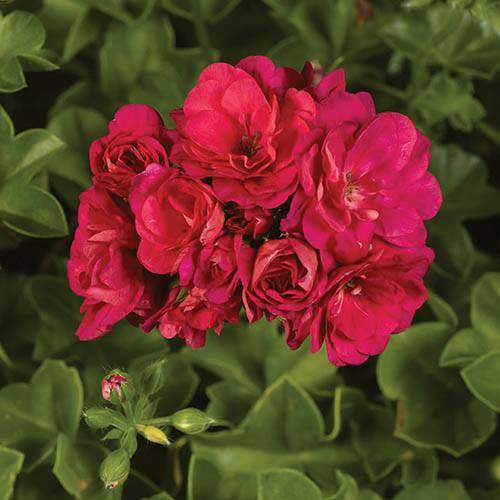 In early May they'll burst open in a simply incredible show of colourful, double flowers. 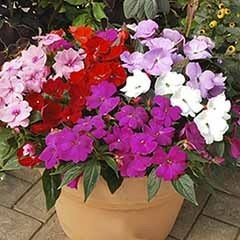 Plant them in pots, baskets, window boxes and containers anywhere where they can trail. 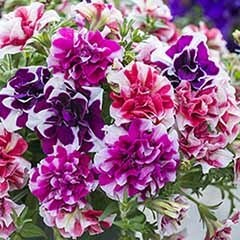 This collection contains four vividly coloured varieties Pink, Red, Purple and White. 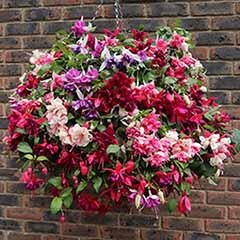 Get an early start and plant yours now for bigger, longer lasting displays right through to October! 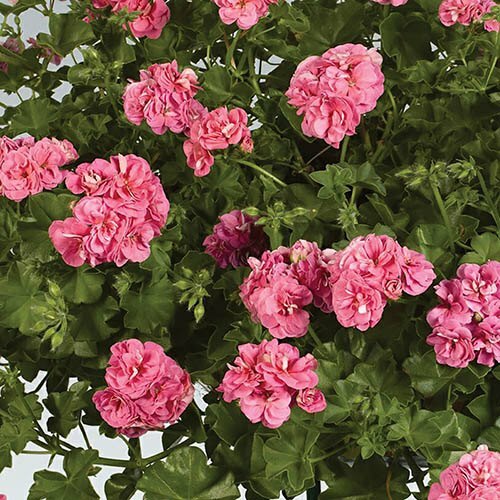 This completely unique Rosebud Geranium will transform your baskets and gardens with a summer long show of their stunning double flowers in a confection of pinks, reds, whites and purples, and everything in between. 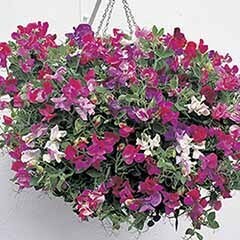 Renowned for their tolerance of drought and heat in summer, yet they perform really well in our more normal rainy Summers too! 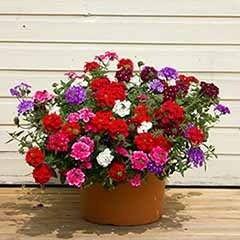 In our view, one of the very best choices for summer bedding and reliability you can buy, and our customers think so too - this is regularly in our top 3 bedding plant best-sellers. 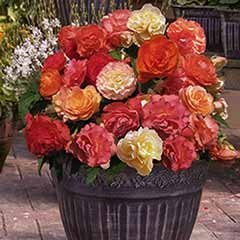 As they are about to burst into flower in summer, you will notice gorgeous buds in clusters, each one looking just like a tightly budded rose waiting to burst open, to create a simply incredible show of colourful, double flowers. 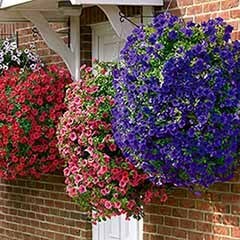 Plant them in baskets, window boxes and containers anywhere where they can trail spectacularly, and you will not be disappointed. 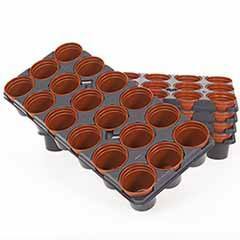 Supplied as 12 jumbo plugs, they can either be potted on into 9cm pots for a few weeks in a frost free environment, or planted out into baskets and tubs directly once frost risk has passed. 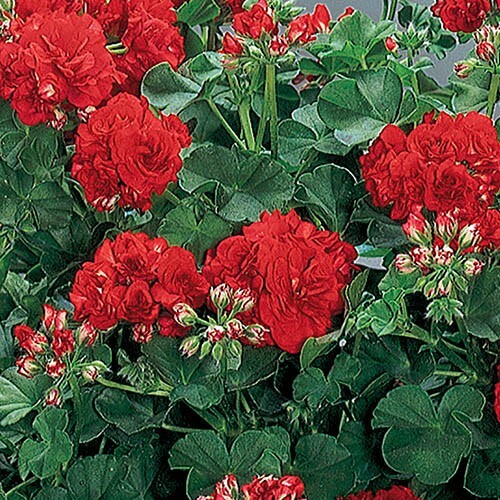 Let Rosebud Geraniums delight you this year. Delighted as always, very pleased. Very good. 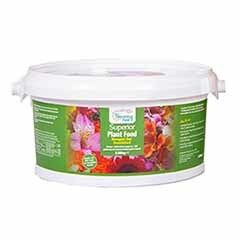 Website easy to use and plants were a good price. 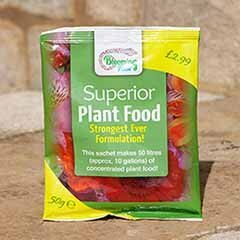 The plants arrived very well packaged and are fabulous, strong and healthy. 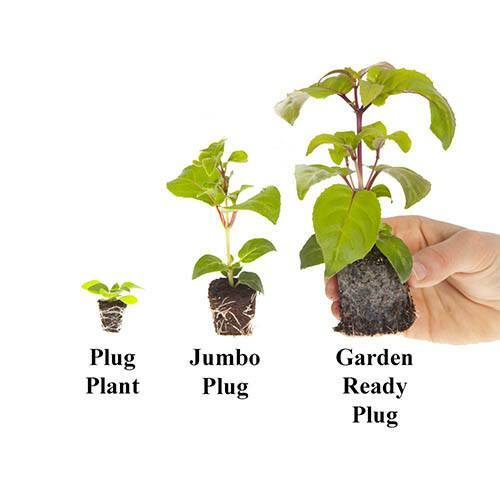 Good sized plugs, hope the plants are good when they`ve grown. If there is a problem you can at least call and speak to someone and they do their best to rectify the problem. 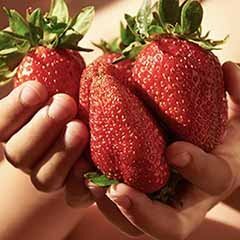 Good website which is clear and easy to use. Only problem for me has been receiving plants of the correct height and some have been packed into boxes far too short so branches have been broken. Also delivery man places the boxes upside down and plants get broken or damaged then. Not enormous plugs but well packed and labelled. 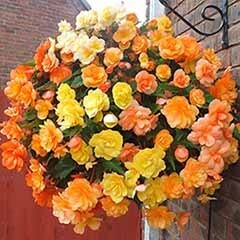 Planted into hanging baskets and some already have flower buds. 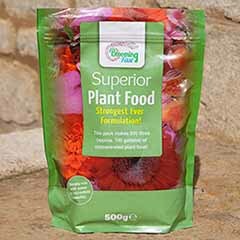 Look healothy and strong. I am really sorry to hear that some have died. One boxwas ok, the other had thrown around a bit. 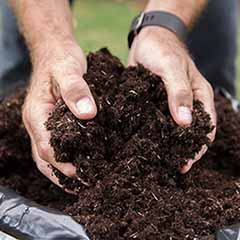 Plants in very good healthy condition, now potted on and growing well under cloche, we are really pleased with them, and look forward to enjoying them when planted on into baskets and containers. 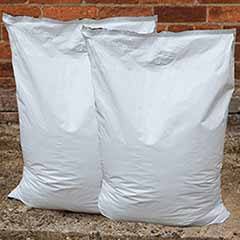 Excellent quality and good prices. And wonderful packaging. Some improvement on previous orders. 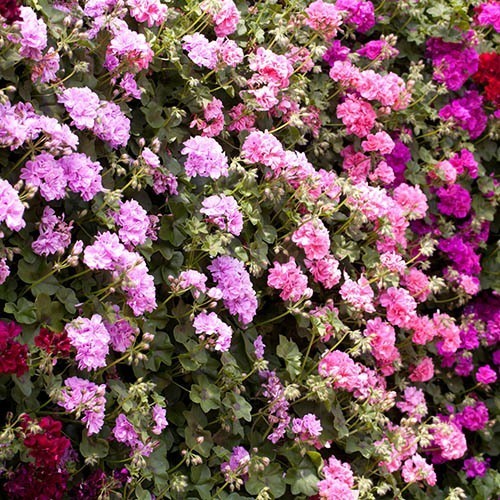 Nice plants, most have survived, an doing well. I am sorry that you feel this way. We did state in your order confirmation the dates that you would expect the item. I do apologise if this was not picked up on. 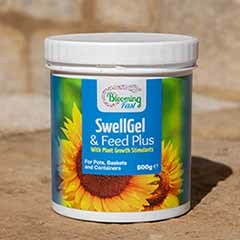 Any questions or queries in the future please do not hesitate to get in touch. I am very sorry to hear that one of your plants has not survived transit. Thank you for bringing this matter to our attention, it is much appreciated. I shall be passing this on to our packing and delivery team. Sales and after sales are very good. 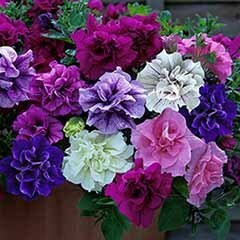 Stuff arrived quickly & looked good, but the Bignonia was a bit sad & is struggling - not dead yet , we are nursing it.! Sorry to hear that this plant is struggling. Let us know how you get on over the next 2-3 weeks. 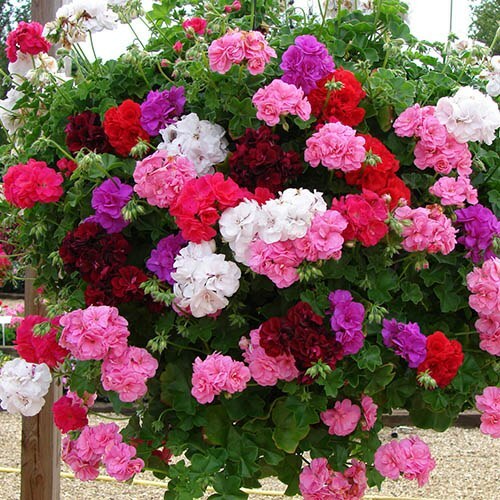 easy to order and good price,Bought many plants on line over the years got to say these have been the best buy and will buy again.Geranium & begonia 5 star.